| PVC Ceiling sheet | PVC Ceiling Panel | Ceiling Sheets | Features Water Proof, Tamper Proof, Corrosion Resistant, Durable Coating Available at pokar TRADERS at good price. We are the Trader, Supplier, Distributor, Retailer, Wholesaler of Aluminium Extrusion & Profile, ACP Sheets, Patch Fittings, Silicon, Aluminum Grill etc. We mainly Deal in Aluminium extruded sections, ACP Sheets, Ladders, Patch fittings, Bearings, Floor Spring, Silicon & all the hardware required for Aluminium based work. We offer appx 13000 profiles of different extruder to meet almost every end application like architectural, industrial, automobile, aviation, engineering, transport, marine, electrical, electronics and more. 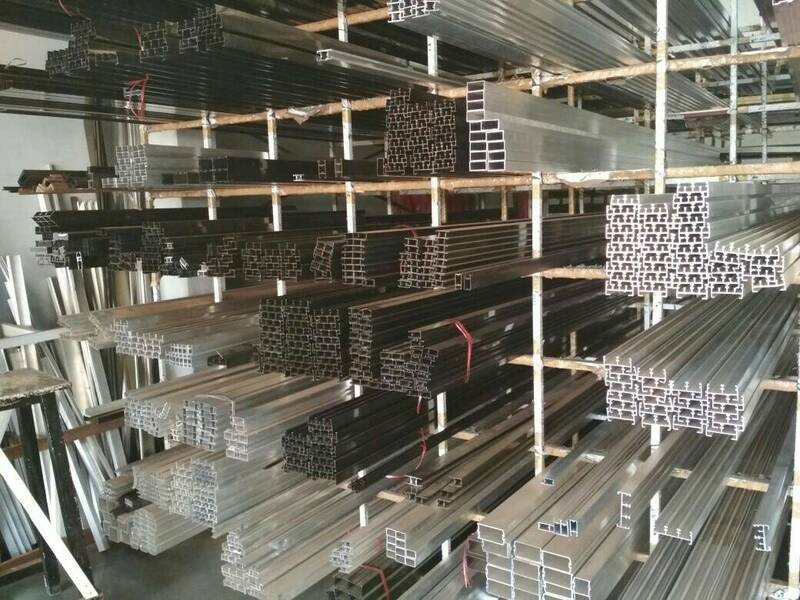 We Deals in Aluminium extruded sections, Silicon, ACP Sheets, Ladders, Patch fittings, Bearings, Floor Spring & all the hardware required for Aluminium based work. We offer appx 13000 profiles of different extruder to meet almost every end application like architectural, industrial, automobile, aviation, engineering, transport, marine, electrical, electronics and more. We are the Authorised Dealer of Aludecor Pvt ltd, Ozone and Crome. We Deals in Aluminium Extrusion & Profile, ACP Sheets, Patch Fittings, Silicon, Aluminum Grill etc. The offered products are manufactured using the best quality of raw materials as per industrial quality standards at our vendors end. Our offered product is widely appreciated by our prestigious clients for its precise design and durability. The offered product can also be availed in various sizes, designs and other related specifications.